Works on all systems and pressures. Up to 3x more flow with Mira Magni-flo™ technology. Cool shield™ technology ensures the valve doesn’t get hot during showering. Includes fast-fix kit for hassle free installation. 110mm four spray shower head coverage plus 250mm deluge shower head. Adjustable fittings kit covers existing screw holes for easy replacement. 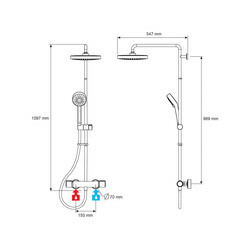 Mira Atom ERD Thermostatic Bar Mixer Shower Valve & Kit is rated 5.0 out of 5 by 2. Rated 5 out of 5 by Pendog from Excellent shower Brought this to replace an ageing Mira Excel shower. Have only used it a few times so far, initial impressions are excellent (hence the 4 stars for reliability.) The large head gives a gentle all over spray and the small head a more powerful directed spray. Easy to use controls and minimal dripping after its been turned off. No problems or complaint in fitting by our plumber. Great value for money. Rated 5 out of 5 by John2019 from Excellent shower I bought this to replace an old Triton shower which didn't seem to be giving the flow I wanted. 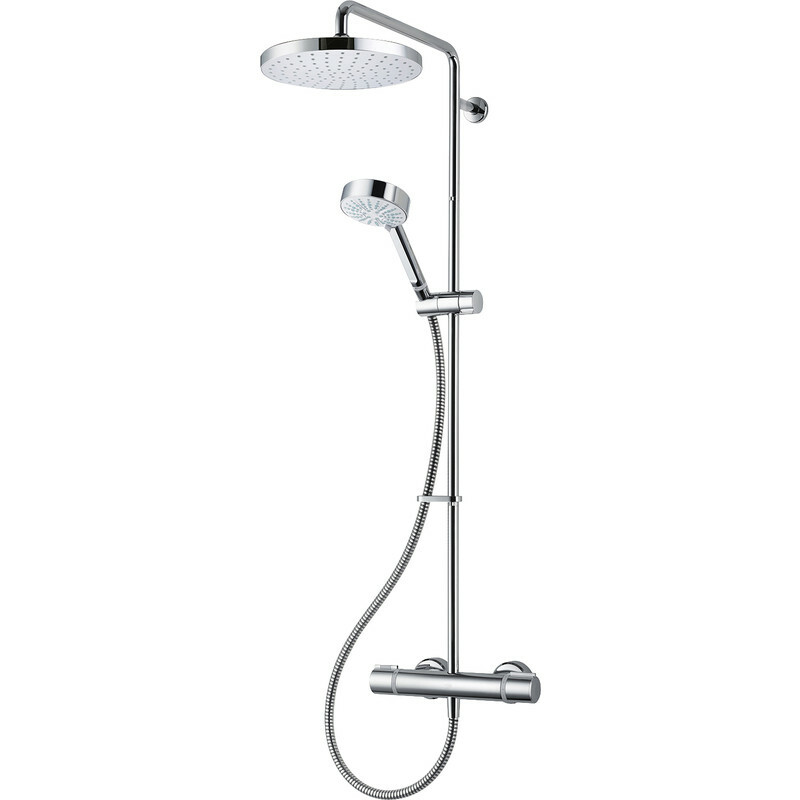 I chose the Mira shower as it seemed to be the only one I could find that featured high flow, even at 0.5 bar pressure. Fitting was a bit tricky as to use the supplied Mira pipe fittings would have necessitated removing tiles to change the pipework. Fortunately I was able to use the old Triton fittings but it is something to be aware of if you are replacing an existing valve. 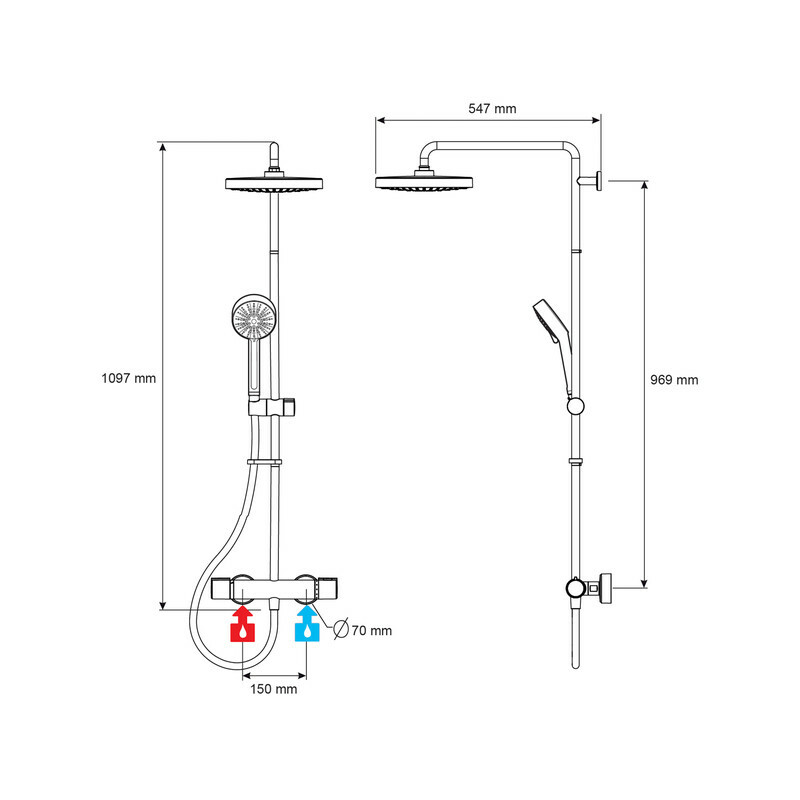 The good news is that the Mira shower is brilliant, gives something like twice the flow of the old unit both when just using gravity and especially when I turn on the shower pump. I especially like the big overhead rain shower head, perfect for shampooing.